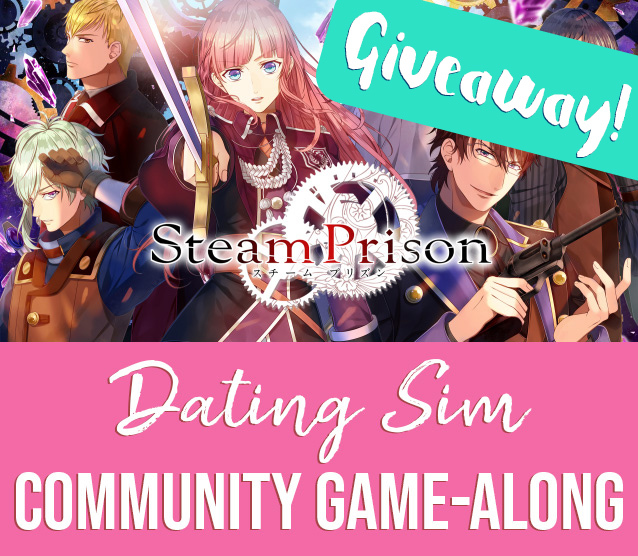 To celebrate the dating sim Community Game-Along, I’ve teamed up with MangaGamer to give away one digital copy of their upcoming otome game, Steam Prison! This exciting steampunk romance comes out on PC just in time for Valentine’s Day, and you could be one of the first to play on release day! Just enter using the widget below. Be sure to check back every day to complete daily entries for more chances to win! The giveaway closes on February 14th at 4:05 pm PST (7:05 pm EST) and is open worldwide. One winner will receive a code for Steam Realize redeemable on Steam. The winner will be randomly selected and contacted via email shortly after the giveaway ends so you can start playing as soon as possible. Good luck!